Not too long ago we all sort of sat back and watched one of the biggest stars of our time say goodbye to someone very special to her. Rihanna's Gran Dolly was loved by many and through her special relationship inherited loads of admirers around the world. 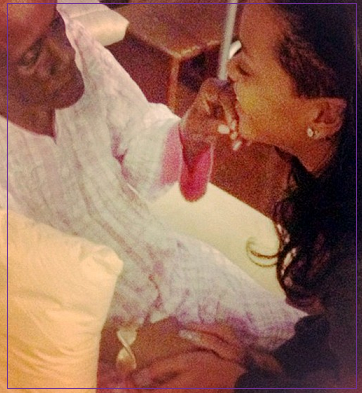 While Rihanna's Grandmother did take her final rest, her legacy still lives on through Rihanna and the many other people she touched. Yesterday Rihanna revealed her brand new tattoo in honor of her Grandma. The tat is of the Greek Goddess Isis who represented everything good about a woman. Isis was a goddess who lived among the poor,taught the women,nourished the children,went to the ends of the earth for her love (literally).... She is said to have built the Nile River with her tears of heartache. She was passionate, strong, and respected. What a great testimony to #GranDolly's life.